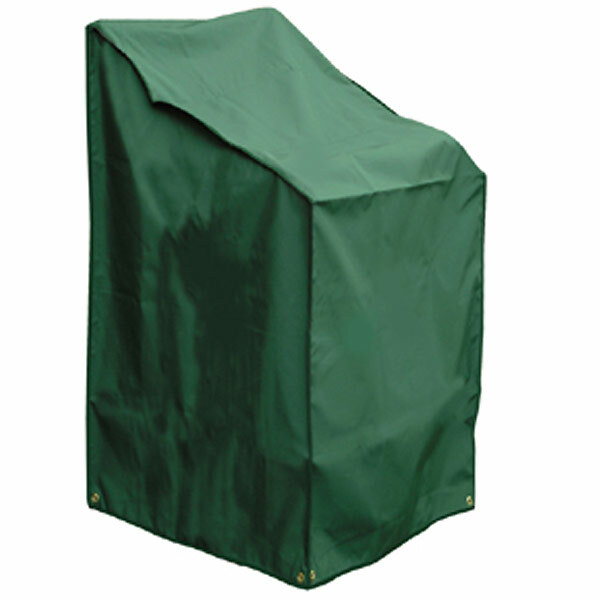 Protect your garden furniture from the elements with this Stacker/Recliner Chair Cover. 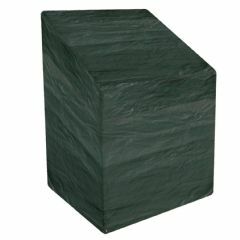 Made from top quality PVC backed polyester this green cover blends in well with any garden whilst protecting your chair at the same time. THIS IS THE BEST STACKING CHAIR COVER I'VE EVER BOUGHT. IT'S STRONG AND HARD WEARING AND LASTS. BOSMERE IS THE ONE TO BUY.GOOD VALUE. I believe this item will last a lot longer than some of the other covers I have bought. The previous chair covers I have had have been very disappointing, literally falling to pieces after a couple of years, I bought this one because of the PVC lining which sounded more robust than the polyethylene covers from other makers. I was very pleased when it came out of the packaging as it is really thick and feels substantial. Also it has a very simple but effective method of securing it to the chair. It looks good and so far it has withstood a great deal of rain without a drop getting through to the chair. Only time will tell if it lasts longer but I have high hopes that it will and I certainly recommend it. I have it covering a reclining chair. 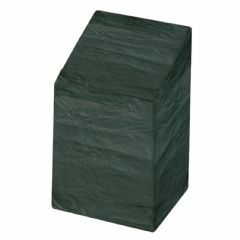 Excellent quality and value for money. 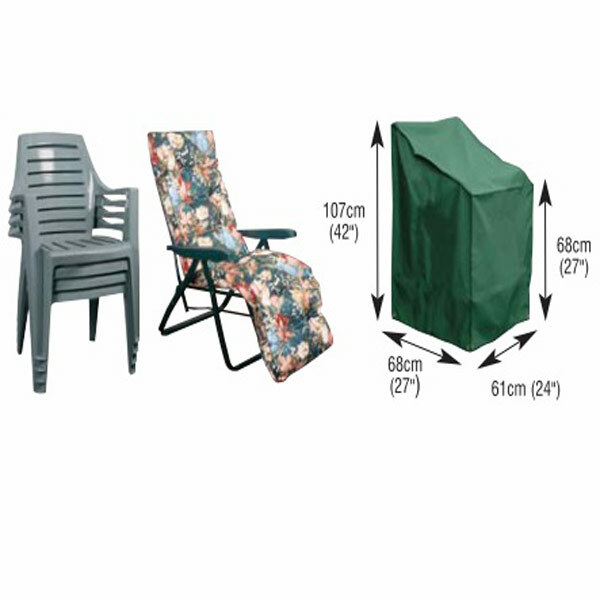 Also each cover big enough to cover 2 upright metal framed chairs with their thickish mattresses. So I'm well pleased, given that last year I bought the plastic covers that cost £9.99 each, they only covered 1 chair and they only lasted through one summer and winter then split/tore. Would highly recommend. Good value. Does exactly what's required. Well pleased. First class service, excellent value for money. I have paid more for a lesser quality. Thanks very much. Previous covers have let in water and teak furniture has become marked with black mould over a winter. I paid top dollar for this cover hoping my new teak chairs will be kept dry this time. First thing is it would be helpful to explain that one cover is unlikely to cover 6 stacking teak chairs - I had to buy a second cover and put 3 chairs under each ( tho 4 would fit just). 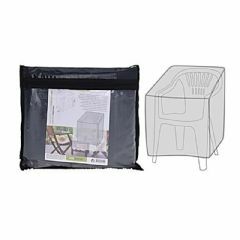 Second thing is I needed a stick thru seats to tent the cover so water doesn’t pool over the seat area of chairs. Covers look smart and seem heavy duty and durable - will have to wait til Spring to see if this is so. I have used the cover over 6 chairs - it would be better over 4. Good fixings.